The side table Butterfly was designed in 2006, by the British designer Alexander Taylor for Zanotta and convinces with its elegant weightlessness. Therefore it has been honoured with the renowned Good Design Award 2006. The frame of Butterfly is made out of bent, oak wood veneered plywood. On top of it is a glass surface out of reinforced crystal glass. 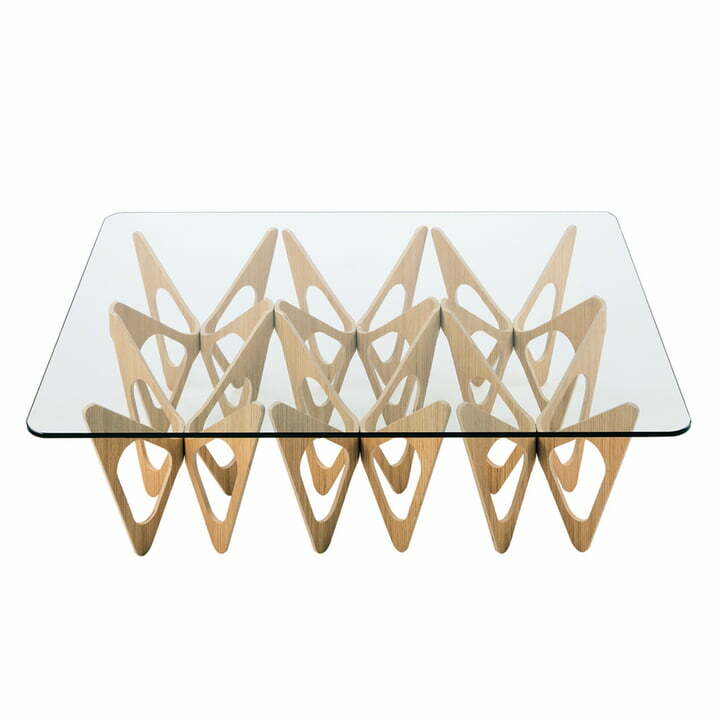 The original construction of the frame reminds of a group of butterflies, which is why the table is called that way. With this natural weightlessness, Butterfly does perfectly suit in the tradition-rich collection of the Italian premium manufacturer Zanotta, where design icons of the 20th century and new objects are unified. Butterfly is also available in a larger edition as well as with a wengé coloured, white or black lacquered base.